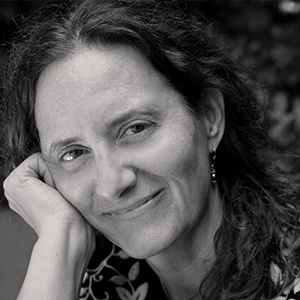 DENISE ZMEKHOL is a Brazilian-American journalist, an award-winning producer and director of documentary films and media projects that span the globe. Her documentary films, commercials, and innovative transmedia projects have been recognized for their elegant visual style and deft storytelling. Her feature documentary Children of the Amazon was supported by the Independent Television Service and broadcast on PBS, as well as on European and Latin American television. Through captivating photos and interviews, Children of the Amazon tells the story of struggle and hope to protect the world’s largest tropical rainforest and its inhabitants. The film won multiple awards at film festivals around the world. Denise co-produced and co-directed Digital Journey, an Emmy Award winning PBS series exploring emerging technologies in their social, environmental and cultural contexts. Recently Denise co-directed Bridge to the Future a short for PBS/TED Talks and was co-producer on Amir Soltani’s Dogtown Redemption hat was exhibited on the PBS series Independent Lens. 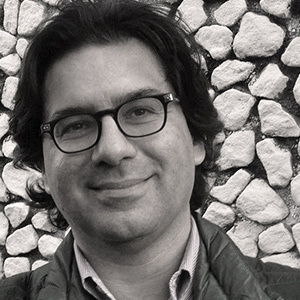 AMIR SOLTANI is an Iranian-American writer, journalist and human rights activist who has worked in business, media, nonprofits and philanthropy. His graphic novel, Zahra’s Paradise, has become a global multi-media phenomenon. The story of a mother and blogger’s search for Mehdi, a student who has vanished in the aftermath of Iran’s presidential elections, Zahra’s Paradise has made publishing history as a real-time online graphic novel that appears in fifteen languages. It has been covered by dozens of news outlets including The Economist, The New York Times, Der Spiegel, BBC, and others. Amir was the executive producer and co-director of Dogtown Redemption (PBS/Independent Lens). What he brings to this project are the conceptual powers and gifts of the storyteller, the passion of the human rights activist and the skills of the community builder. Amir studied social and intellectual history at Tufts and Harvard. LEAH MAHAN is an independent documentary filmmaker whose work has been nominated by the Directors Guild of America for Outstanding Directorial Achievement. Sweet Old Song aired on the PBS series P.O.V. and was selected by Roger Ebert for his Overlooked Film Festival. She served as U.S. Film Envoy for the American Film Showcase, traveling to Indonesia with Come Hell or High Water: The Battle for Turkey Creek, which aired on the PBS World series America ReFramed. Leah has been a Fellow at Sundance Documentary Editing and Story Lab and Sundance/Skoll Stories of Change, and a Hatchlab Mentor for the Alliance for Media Arts and Culture. Leah’s work has been supported by Sundance, ITVS, Ford Foundation and W.K. Kellogg Foundation. LEONARDO MAESTRELLI is a director of photography and director with a degree from PUC-Rio Grande do Sul. He directed How to Meet the Challenges of Modern Life, which won the Brazilian Reality Award at the 12th Brazilian Film Festival. In 2008, he began to work exclusively as a cinematographer. He worked on the series CHAOS, which was exhibited on the History Channel, and on Pitanga, awarded as the best Brazilian Film of the 40th International Film Festival of Sao Paulo. Recently, Leonardo, has been working on the films Duel and After Being Gray. In 2017, Leonardo filmed the second season of the series Dreams of Abu, directed by and the film Ants. HELOISA PASSOS received several awards, among them Best Picture at the Rio Film Festival 2016 for Mulher do Pai, Best Cinematography at Gramado Film Festival 2008 for Areia, and Best Cinematography at the 2007 Sundance Film Festival for Manda Bala. She has worked extensively in Brazil and in the United States with award-winning film directors such as Richard Robbins, Laura Poitras, Jason Kohn, Charles Ferguson and Gini Reticker. In 2015 Passos was invited by Glenn Greenwald to direct two episodes for the web series Field of Vision for The Intercept. JACOB SOLITRENICK is a director of photography for fiction, documentary and publicity. He was born in São Paulo and graduated in Technology of Animal Husbandry at São Paulo University, but his true passion was already cinema. Even before graduation he took a break and did his first internship, moving definitively to the film industry. He worked as a set producer, art producer and was a camera assistant for eight years. In 1994 he moved to DoP. He's photographed more than 25 features and six series. He also directed and photographed four seasons of the series Singers from Brazil. ELLEN BRUNO is an award winning documentary filmmaker based in San Francisco. With a background in international relief work, Ellen’s films have focused on issues at the forefront of human rights. She began her relief efforts in remote Mayan villages in Tabasco, Mexico and has worked in refugee camps on the Thai-Cambodian border with the International Rescue Committee, in Vietnamese boat camps with The Refugee Section of the American Embassy in Thailand, and as director of the Cambodian Women's Project for the American Friends Service Committee. Ellen completed a masters degree in documentary film at Stanford University. She is a recipient of Guggenheim and Rockefeller Fellowships, a Goldie Award for Outstanding Artist, an Alpert Award for the Arts, an Anonymous Was A Woman Award for the Arts, a Shenkin Fellowship from Yale University School of Art, and was an Artist-in- Residence at the Yerba Buena Center for the Arts. RICHARD O’CONNELL is an Emmy Award-winning creative producer, filmmaker, and educator living in the San Francisco Bay Area. He has worked for 15 years at the Independent Television Service serving as Head of Production and later as Senior Producer of National Productions. During his time at ITVS, Richard oversaw the production, delivery and broadcast of over 600 films, over 150 million dollars of funding to independent filmmakers, and distribution to PBS and national television series including Frontline, American Masters, Great Performances, POV and Independent Lens. Today Richard works as a creative Producer with Independent documentary filmmakers across a range of both domestic and international projects. Also, Richard works as an independent filmmaker and teaches at Berkeley City College. FRANCESCO PERROTTA-BOSCH graduated from PUC-Rio with a master's degree from the FAU USP. His 2013 essay “The Architecture of the Intervals” was the winner of the Prize Ensaísmo Serrote, promoted by the Instituto Moreira Salles and published in the magazine Serrote #15. He is currently the curator of the Archive Fabio Penteado and the architecture critic of Folha de São Paulo newspaper. Francesco coordinated the research team for the Brazilian Architecture Collection at Casa da Arquitectura (House of Architecture) in Portugal. He was Curatorial Assistant of the Brazilian Pavilion of the Venice Architecture Biennale (2016) and of the exhibition “Housing Project” and “Fight, Squat, Resist” at Studio X Rio de Janeiro, a Columbia University institution. Francesco has published articles in the Estado de São Paulo, Piauí, Monolito, AU, ProjetoDesign, Bamboo, Plot (Argentina), Summa+ (Argentina), Architectural Design (England) and Architectural Review (England), and is a member of the jury of the Associação Paulista de Críticos de Arte. SUSANNE WEIHL is an art director/designer. She integrates design excellence with brand objectives. Her clients have included global non-profits striving to make a positive impact on the world, independent filmmakers, corporate brands, publishers of art and culture. From UNICEF, Stanford University and Levi Strauss & Co. to Chronicle Books and Robert Mondavi Winery, she creates strategic tools for her clients to stay relevant in our ever-changing world. Crediting three immensely talented photographers, both for their creative courage and sensitive journaling of the beauty and struggle held within the Pele de Vidro.